Released last Autumn, these limited edition lovelies were in heavy rotation last week. Lunasol's Sheer Glossy Eyes give the lids a beautiful, lustrous, sheer wash of color that can be built up to full opacity, or layers over (or under) for added dimension. The formula and texture of the Sheer Glossy Eyes is quite unusual (but, in a great way). In the pot, they appear to have a creamy or whipped mousse consistency. However, to the touch, the product has a bouncy, cushiony, almost memory foam (but, not a foam) texture. The Sheer Glossy Eyes are an ultra-buttery, smooth powder that truly feel like a cream. 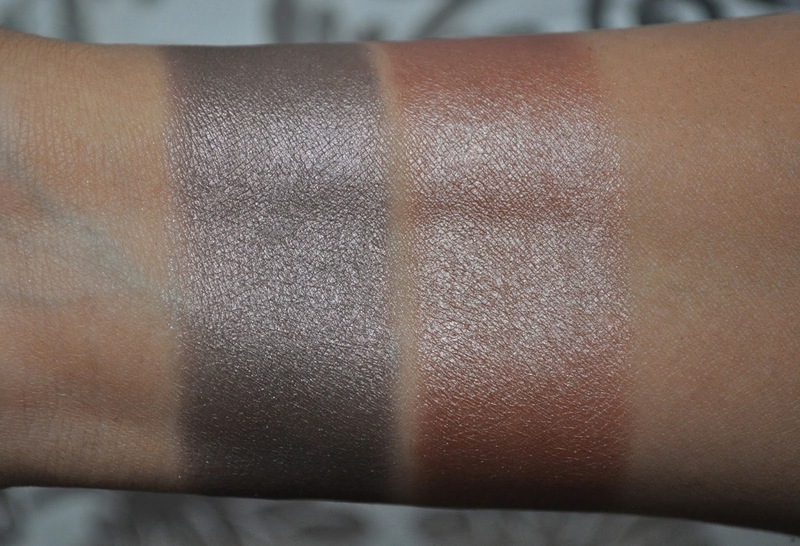 From left to right (natural light): EX01 Nuance Gray, EX03 Soft Brown. 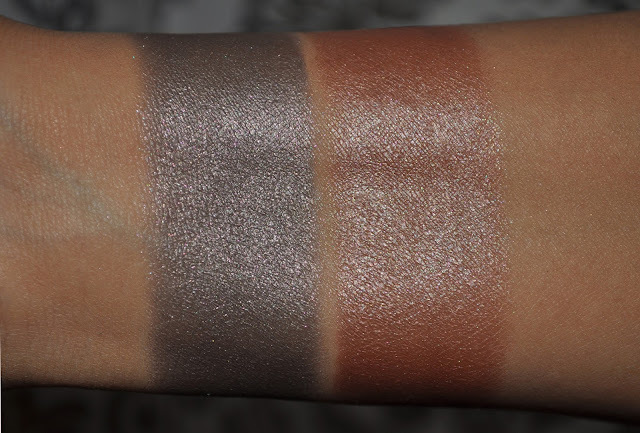 EX01 Nuance Gray: a soft lavender, taupe-grey with silver, violet, and mint green micro-shimmers. EX03 Soft Brown: a warm, champagne, slightly-peachy, brown with silver micro-shimmers. From left to right (with flash): EX01 Nuance Gray, EX03 Soft Brown. The micro-shimmers are more apparent with the flash. 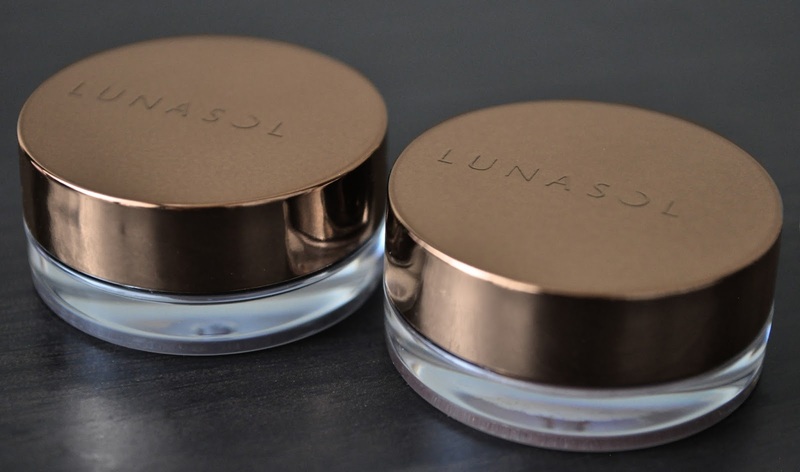 Lunasol's Sheer Glossy Eyes come in four colors (EX01 Nuance Gray, EX02 Shiny Gold, EX03 Soft Brown, EX04 Peach Beige), retail for ¥2,625 and contain 3.6g of product. Although they are limited edition, and were released last year, I've seen them at the Lunasol counter at Isetan and Odakyu in Shinjuku. Oh gosh, I love the pinkish tone in the gray and that brown is sooo beautiful! I must look at their products sometime! Out of the four shades, these are a definite must! I adore my Nuance Grey and am probably going to hit pan before I manage to capture its magic in a photo! Now I can just link to yours :D Thanks, darling! I'm so glad to have Nuance Grey in my collection. With every use, I fall more in love with it!